Poland is the home of many a good vodka. Belvedere is probably the most recognisable brand along with the likes of Sobieski, U’luvka and Wyborowa close behind, but there’s a name that most have probably heard, but never tasted before – Zubrowka Bison Grass. 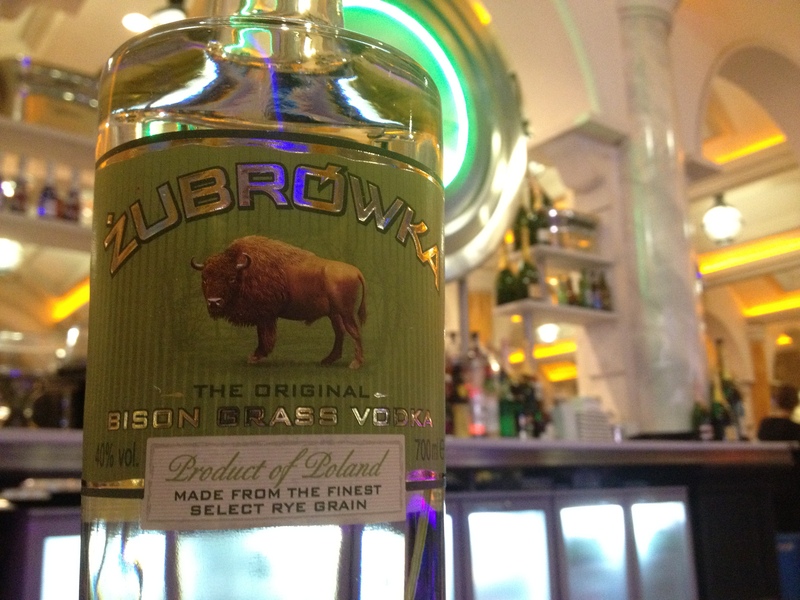 Zubrowka is distilled at the Polmos Bialystok Distillery located 200km North East of Warsaw, where in this region vodka has been flavoured with bison grass for over 600 years. The Białowieża Forest in Northern Poland houses a consistent supply of bison grass and for centuries has been used in a variety of ways including rituals, construction of every-day items and more commonly as a medicine. It’s also here in the Białowieża Forest that the native bison roam, hence the name ‘Bison Grass vodka’. The predominantly rye based vodka goes through a rather simple process to create the bison grass flavour. Bison grass is picked by hand at the height of summer, carefully dried and then crushed before the distilled vodka is forced through it several times. The resulting finish is then blended with the base rye vodka and rested for several days before being bottled. The bison grass also gives the vodka its slight yellow appearance and its signature blade of grass placed in each bottle adds a delicate layer of flavouring. Lots of light grass aromas on the nose with a slight earthy note coming through near the end. Rather a raw beginning on the palate but mellows into a fresh, creamy flavour of grass and vanilla with a slight kick of spice. Becomes rather soft at the end. Muddle the apple pieces and elderflower cordial in the bottom of a glass to release and combine their flavours. 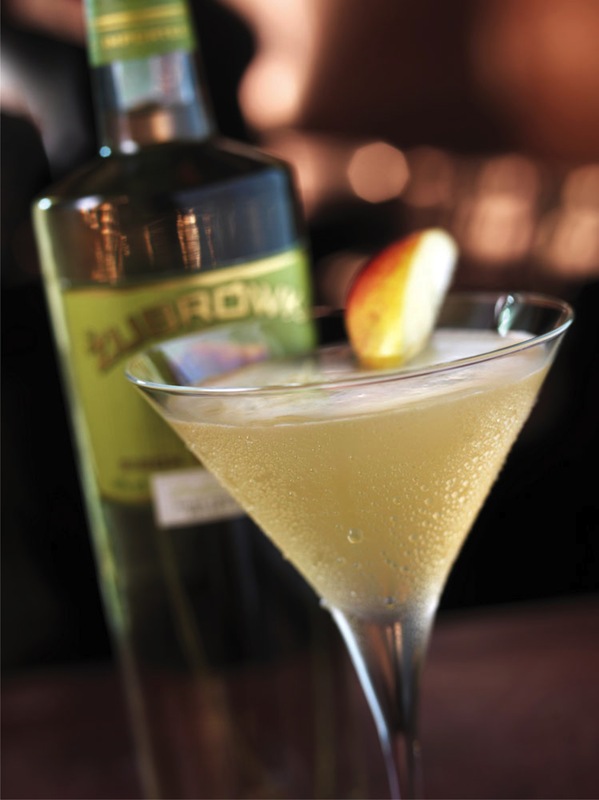 Add the Zubrowka Bison Grass Vodka, apple liqueur and some ice –and shake. Fine strain then serve. Garnish with a slice of apple. This cocktail idea has been taken from their ‘Full Moon’ range, and you can find a whole host of others here. Zubrowka has been around since the 16th Century but has only been available in the UK since 2000. In its 12 years it still racks up awards including most recently Monde Selection Grand Gold medals in 2012 and 2011. Not bad for something you can see on nearly every back-bar in the country. It’s there for a reason ladies and gentleman – give it a go! Take a look at the rest of the photos, taken at The Circle 360, via my Facebook page. Everybody needs to know that this Zubrowka is not the same as what is available inside Poland. The real Zub. Is sweet with almond and vanilla notes, and makes the export seem like paint thinner.